Today we Animal Digestive Powder manufacturer come to analysis Sow Prenatal Low-Temperature Ingestion. The general body temperature is normal, there is also low temperature (36-37.5 ° C), dry stool, yellow urine, dry nose, less sweat, but also runny nose, stool with white mucous membrane, very hard. Normal body temperature, no food, normal bowel movements or constipation. There are many causes of this disease. After breeding in autumn and winter, it is more common in pre-production. Unreasonable feed, drug poisoning, mold feed poisoning, vitamin deficiency, etc. Low-temperature anorexia is most common in sows before and after childbirth. More common in sows, often 7-14 days before birth or 7 days after birth. Most sows with postpartum low-temperature anorexia are due to a single forage, especially the lack of green forage, combined with high energy consumption before and after birth, especially minerals, trace elements, vitamins, or long-term fixation in the positioning column or A sputum is not enough exercise, resulting in a decline in the whole body function of the sow, weakened gastrointestinal digestive function, and decreased secretion of gastric acid and various digestive enzymes. In rural areas, sows prenatal low temperature (or normal body temperature) is not common, mainly because farmers simply feed barley (after processing), barley and other roughage, not only have no nutritional value, but also the main cause of prenatal diseases. If you pay attention to keep warm in autumn and winter, the amount of bran and electrolysis multi-dimension, green vegetables (a little), have a certain preventive effect on preventing prenatal eclipse. The key to the treatment of this disease is anti-inflammatory (no fever), the disease is generally mainly internal heat, can not be used in the An Nai series of Western medicine fever, not only no effect, will cause adverse effects, after misdiagnosis, it is more difficult to treat, success rate Very low. Appetizing, lifting the spirit is necessary to stimulate the nerves to improve gastric motility. After the cure (at the same time), the low temperature needs to be warmed. When there is a desire for appetite or appetite, vitamins and brown sugar are added in the water or in the feed (now mixed feed) to increase the resistance and increase the energy. Maintain a balanced diet and feed more vegetables (grass) and bran. It has a certain effect on its recovery, and the recurrence rate is also very low. 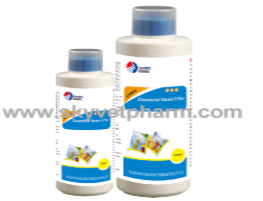 Treatment plan: Baidu Shenzhen + mixed cephalosporin + mixed susceptibility, dispensing or mixing. The other side can be intramuscularly injected with Concentrated vitamin B. Severe cases have no appetite: intramuscular injection of VB12; intravenous infusion: sugar saline or 5%, 10% syrup, add an appropriate amount of 50% high glucose intravenous infusion, add VC, VB6, adenosine triphosphate coenzyme insulin.